Community science and technology (CST) is an emerging concept and side by side a broader domain that deals with various aspects of community and societal development. Community science and technology may be treated as subject responsible and dedicated for community and society development. This is the domain which talks about science and technology and its development for societal and community. Community science and technology (CST) may be expressed as a domain of science, technology, and engineering responsible for social and community development. Information science is an interdisciplinary domain and responsible for information vis-à-vis technological solution with social science perspective; thus, the domain may be treated as a domain of community or social touch or more clearly a domain of community science and technology. To find out about and learn on Community Science and Technology including its basic nature and characteristics. To learn and find out about Community Science and Technology as a stakeholder of development and modernization. To know about future potentiality of CST related programs as an academic specialization courses. To draw an exact picture and possibilities of CST program related to Community Science and Technology and its development. To find out Service Science and Community related aspects in Information Sciences and Technology. To design and development of Information Science related curriculum focused with Community Science and Technology gradients or specialization. To find out main problems and challenges of MSc- Information Science/ Information Sciences and Technology course with CST flavor. This conceptual vis-à-vis policy study has been undertaken by the several tools and methods. Among others, review of literature is the important source of information. The web review, study of existing Community Science and Technology related programme has also played an important role to do this research work. It is a fact that material in the form of paper or chapter on Community Science and Technology is very limited. Hence web review has been undertaken to learn about the term and emerging concept. 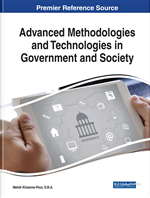 Role of specific subject to the community like computer in community, communication in community, energy informatics and management in the community and others critically analyzed and thus huge literature has been consulted and indirectly used to prepare this study.